Styled with perry turtleneck and preston jacket . 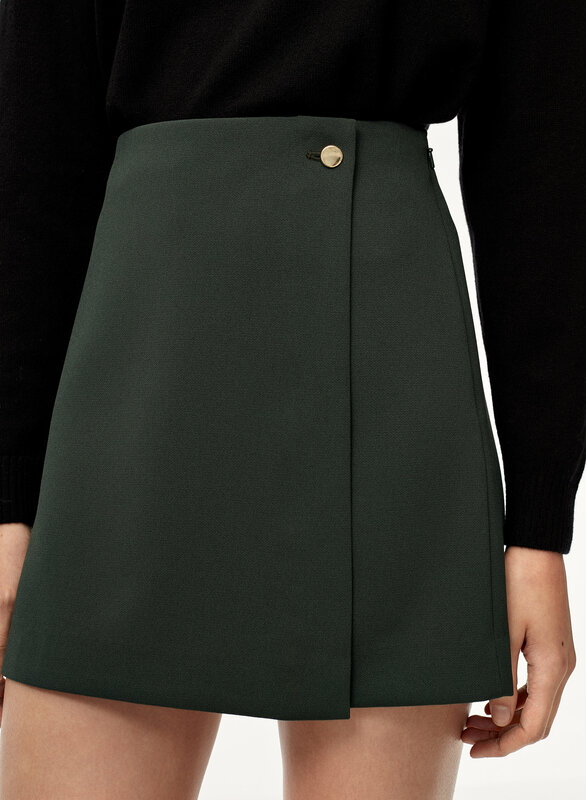 This mini skirt is made from a double-weave fabric with subtle stretch that’s just right for the clever wrap design. 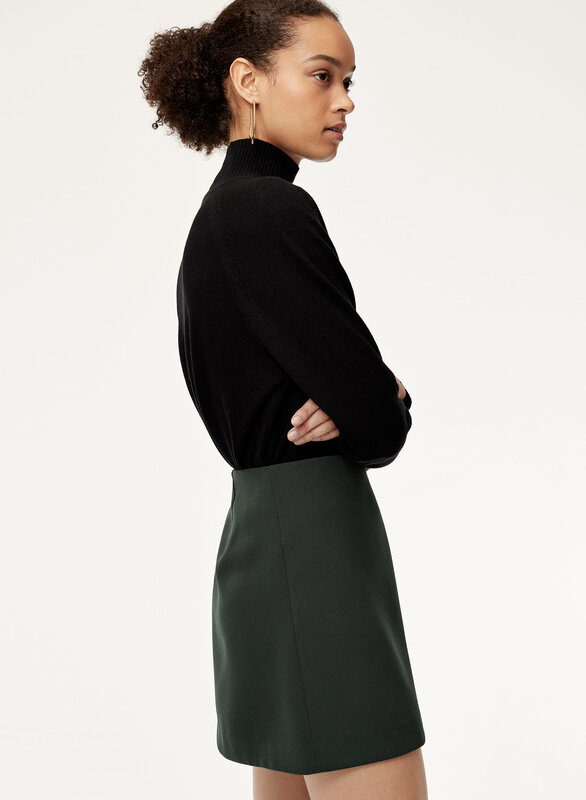 The clean lines and refined shape create a timeless silhouette you can wear all season long. 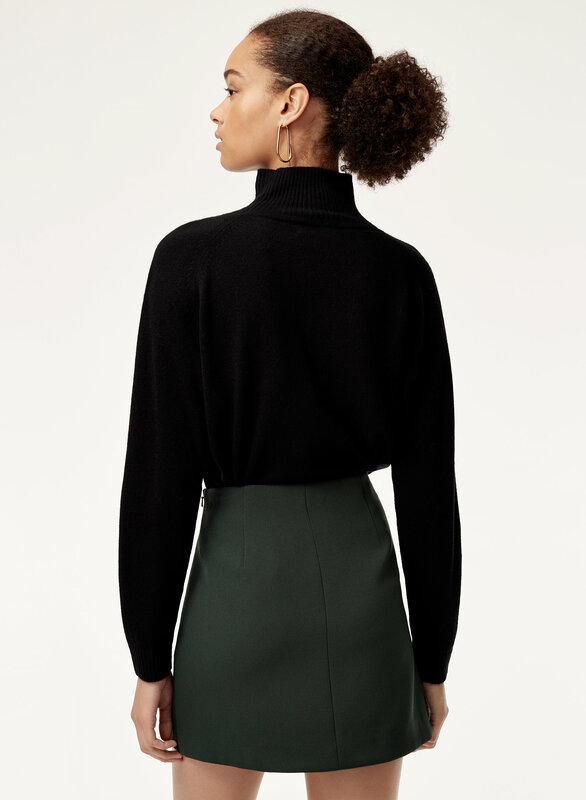 I really liked this skirt both online and in person. The material has a nice thickness to it without being heavy, and the colour was really pretty. 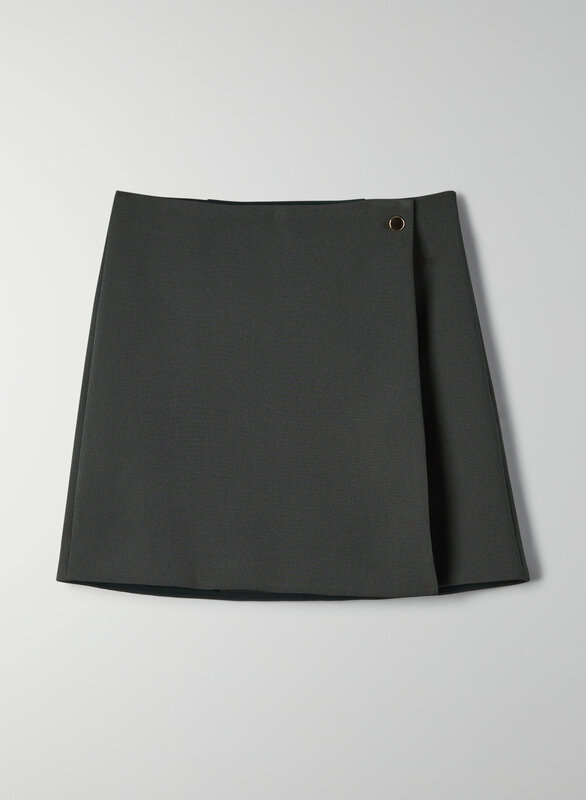 However, I ordered a 00, which is my usual size for Babaton and the skirt was too small. It was especiallly tight around the waist and then gathered oddly around my bum. The colour is more of a forest green than the greyish green on the model. Also it’s kind of weird that the skirt is more like a wrap.